I want to upgrade my MacBook pro mid 2012 Hard disk to 512 SSD, I opened my MacBook back and took photo see below. 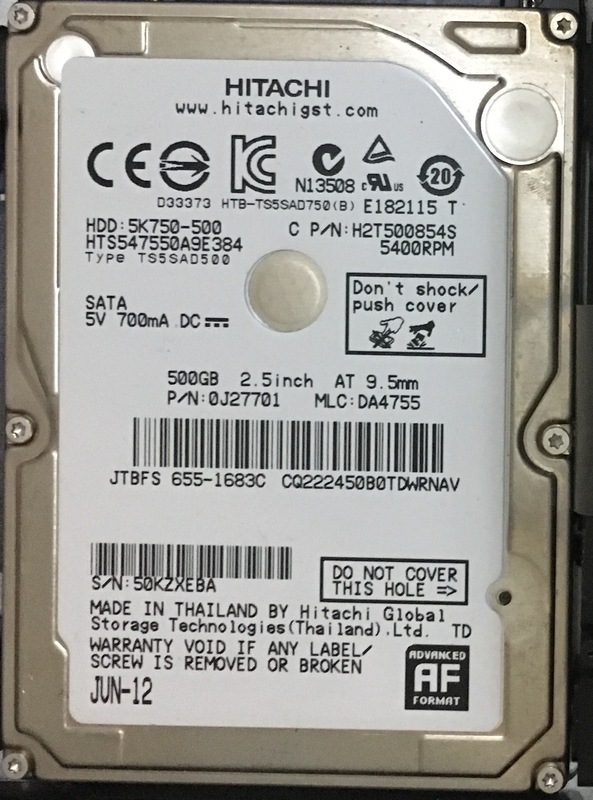 the size of my hard drive is 2.5 inch and 9.5 mm which is currently inside my MacBook, the below picture is of the one I am thinking to buy its also SSD SATA and 2.5 inch 7mm. I am not an hardware expert, please recommend 512 SSD SATA is also very expensive. So I will order if it will fit in my MacBook and good one! Any quality ssd would be fine, I've had great luck with Samsung 850/860. Don't worry about mm size all are 7mm and will fit..Be sure to remove the silver studs on old HHD and reinstall on your new SSD.. Ifixit.com has great tutorials..
Good luck PS While you have it open you may want to upgrade ram, replace battery and or fan. Not the answer you're looking for? Browse other questions tagged macbook hard-drive ssd hardware-recommendation sata . New HDD or SSD in MacBook with failed hard drive?